Rarely are animal welfare organizations run with large budgets. Usually, they consist of just a few people who saw a need, and decided to make a difference. But as they do more and more rescues, they find more animals that need rescuing and long-term care. Sanctuaries, who care for animals instead of euthanizing them, have found some very creative ways to fund their long-term care. Furthermore, many times animal welfare organizations find a whole lot of cats to be rescued, dogs that need care and the like, but funds run even shorter on short notice. So, in order to help animal welfare organizations obtain the funds they needs, this is library of links to some great ideas for fundraising for animal welfare organizations. Best Friends is a famous animal welfare organization, not just because of the wonderful work they do, but also because they are the subject popular animal show called ‘Dog Town‘. Best Friends also maintains a library of animal welfare resources. See here. Here are a few of my favorites because the thrifty nature of fundraising and the efficient use of the funds. Public funding for spay/neuter. This is a great article, because if spay/neuter is not encouraged and even supported by your city, the people of that city pay for generations more of feeding more animals, spaying or neutering more animals or, worst of all, the cost of euthanizing more animals. Network for Good offers many services to non-profits, including online fundraising and the like. However, they also allow anyone to access their training and fundraising library for free. See: Fundraising123 Library. Does your organization have the Field of Dreams syndrome? Find out here. Diagnosing and fixing the ‘Field of Dreams Syndrome’ in non-profits (especially animal organizations) is one of the most powerful tools to help a non-profit animal welfare organization move from emergency fundraising to having the funds they need when emergencies happen. The premise is that, although you can build a shelter and rescue animals, people don’t necessarily care and they have no reason to give money despite the good work you do. This syndrome can occur on any level from thinking people will simply raise money if you hold a ‘Walk for the Animals’ to believing that your organization will get lots of money from your Christmas letter even through your donors don’t hear from you (or about you!) all year long. Are you answering your donor’s questions? Find out here. Fundraising for an animal welfare organization isn’t about asking people for money. It’s about asking people for help and support to tackle a long or short-term problems — together. Hence, your donors need to know what you know! If you are spending the money to help save pit bulls from a puppy mill, they need to know that too. 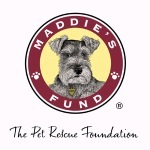 Maddie’s Fund is behind some of the most successful and widely known shelters in North America primarily because they are dedicated to making shelters no-kill and doing it well. This organization offers grants for pet/shelter/rescue related projects to help groups become and support efforts to remain no-kill. Also see “Crisis PR for Animal Shelters.” As very good article on when to panic, and why not too. DNA My Dog Day: This was my all-time favorite fundraising event. I called up the company, DNA My Dog and asked if they would be interested in helping us hold a fundraiser. We sold DNA My Dog kits at the event, and the company gave us a portion of the revenue. So we held an event where some of our volunteer dog handlers helped people get (painless!) DNA samples from their dogs to determine the mix breed. We had so much fun and raised over a thousand dollars in two hours, thanks to community support. But the best part was went people got their results back and let us know what kind of dogs they had adopted from the RAPS shelter. 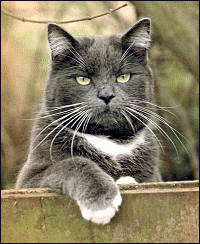 Celebrate Cats! Arts and Crafts Fair: This event allowed local artists to display their work and raise money for the animals. It was a lot of fun, especially since the potters guild donated so much pottery! Bake-off for Bunnies: This was a fun event and raised a lot of awareness for the rabbit issue in Richmond. (note article is at the bottom of the newsletter when you follow the link). RAPS Rockin’ Animal Picnic: This was my first fundraiser, and it was so much fun in addition to raising a couple of thousand dollars for RAPS. We have a doggie fashion show that was a hoot!